Our Color Spotlight of the Day is… Volga Blue granite! 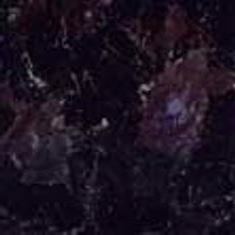 This is a beautiful shade of dark blue granite with a strong, unique design interspersed throughout the slab. Imagine a kitchen with dark blue granite countertops. Add dark-colored cabinets and accessories, and the kitchen will be mesmerizing to look at. You can add light-colored cabinets for a contrast and make the blue countertops really stand out. When Volga Blue countertops are exposed to natural sunlight, the blue will be very visible and vibrant, while the black minerals throughout the granite will seem to sparkle. The colors throughout the slab are very unique and will add a pop of personality to any room. It blends well with most decors and its stunning dark blue shade is noticeable even from afar. Volga Blue granite, like all granite countertops, is very durable and versatile, which is why it continues to be the most popular choice for kitchen countertops. Aside from its one of a kind color and pattern, its polished finish will add a sophisticated touch to your kitchen, bathroom, or basement bar countertops. This high-quality granite is also well-suited for a broad range of commercial and residential projects. At Granite Countertop Warehouse, we don’t only offer Volga Blue granite at low prices, but we also provide professional installation along with superior customer service. Contact us or visit our showroom to Reserve your Slab today!